16 Adnalya: Commander of the “Al Nimr” unit of FF (Tiger) – before Tawergaah fight and after his martiydom. 16 Adnalya: This message has been removed. 17 Adnalya: This message has been removed. 18 Adnalya: This message has been removed. 18 SL – @wcm: This message has been removed. 20 Adnalya: www.livestation.com/channels/125-libya-... _ LIVE PHONE CALL CONFIRMING SNIPERS! 22 Adnalya: This message has been removed. 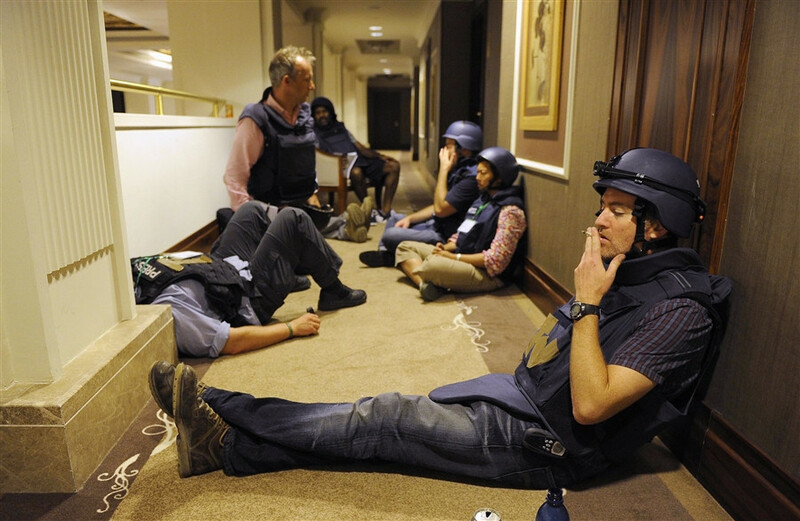 23 sharon lynch: riveting story about reporting from the rixos. the best i’ve read yet. 24 AFreeLibya2011: This message has been removed. 26 Adnalya: This message has been removed. 26 Martha Sullivan – Global Relief Libya: CNN’s Sara Sidner walks through one of Moammar Gadhafi’s secret tunnels discovered beneath his Tripoli compound. 27 Adnalya: This message has been removed. 28 Adnalya: This message has been removed. 28 SL – @wcm: again? 29 Adnalya: This message has been removed. 29 traviszach: That one’s about Niz. R-Shief’s new blog on various issues concerning transnational Arab culture, media, technology, critical code, or other interdisciplinary research questions. 30 Martha Sullivan – Global Relief Libya: On August 20, 2011, R-Shief’s real-time Twitter mining revealed patterns and similarities in the visualization of the events in Zawiya and Tripoli. As journalists, activists, and scholars struggle to understand the last eight months of unprecedented mass mobilization and political upheaval in the Arab world, R-Shief is carving a unique and critical space in storing, processing, and analyzing information. Using its real-time analytic tools last weekend on its extensive repository of content from social media and other websites on the so-called “Arab Spring,” R-Shief Labs (henceforth Lab) produced timely, empirical analysis about the rebels’ military launch on Tripoli. And the accuracies in the conclusions prove to be quite interesting. 31 sharon lynch: Did Algeria flout U.N. sanctions by taking in the Qaddafis?